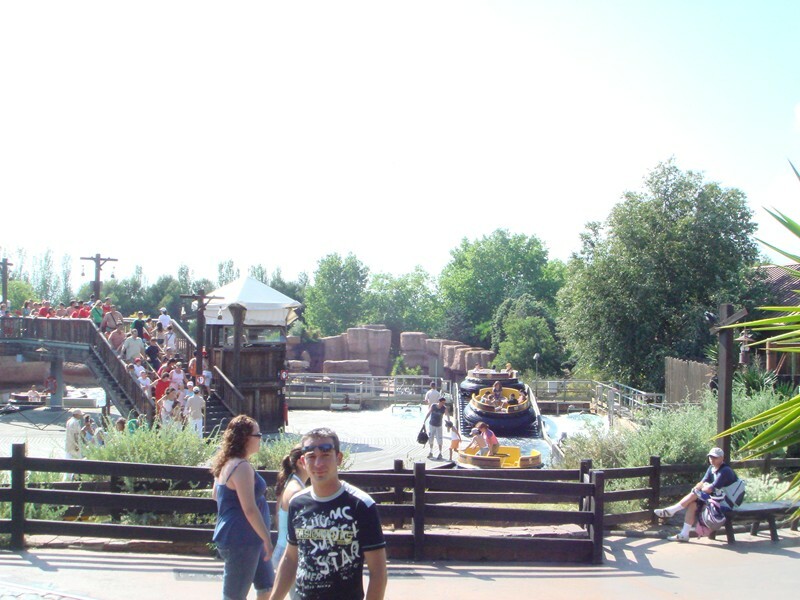 Theme Park Review's Spain/Mini-Europe 2007 Tour! The park does a phenomenal job of going beyond typical theme-park offerings. 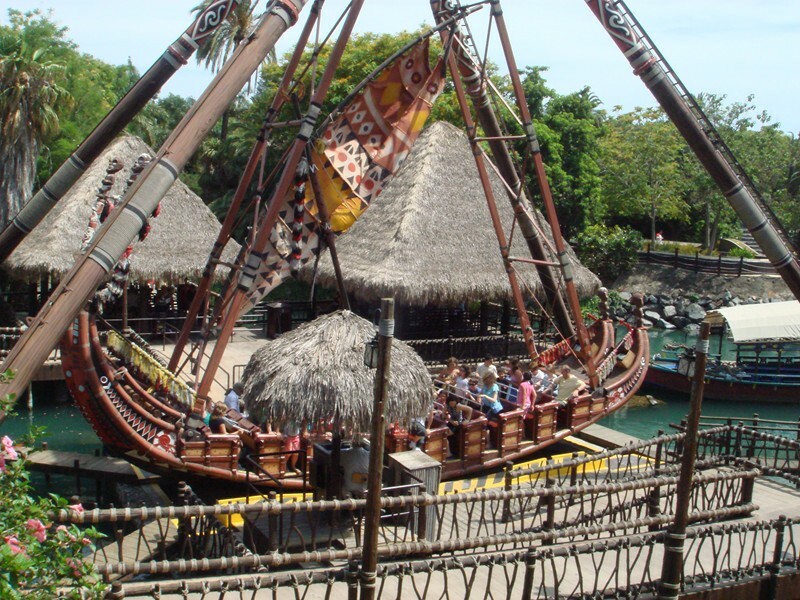 Besides typical park food, each region of the park also offers authentic food native to that area of the world. A few of the better sit-down restaurants are La Hacienda (Mexico), Raco del Mar (Mediterrania), and the Iron Horse Hotel (Far West). 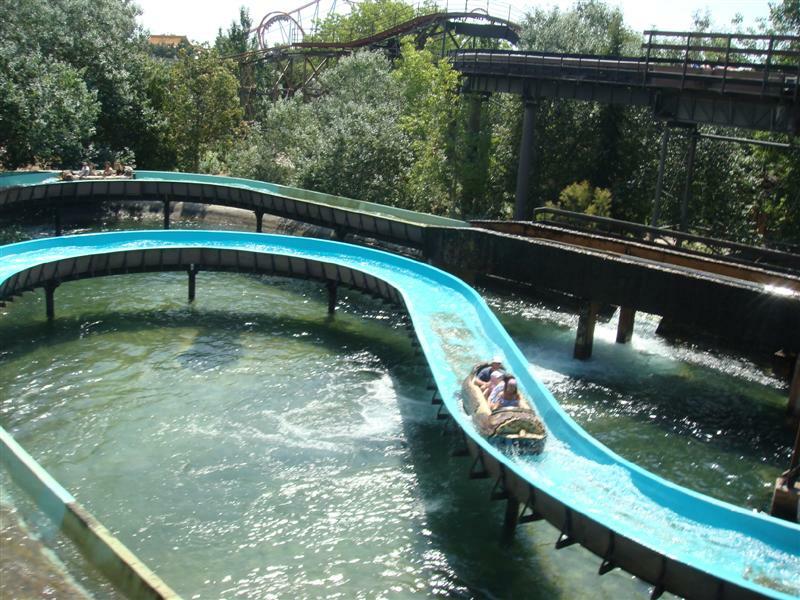 The park is home to a few impressive coasters, Shambala, a sit down B&M that is the tallest coaster in Europe. 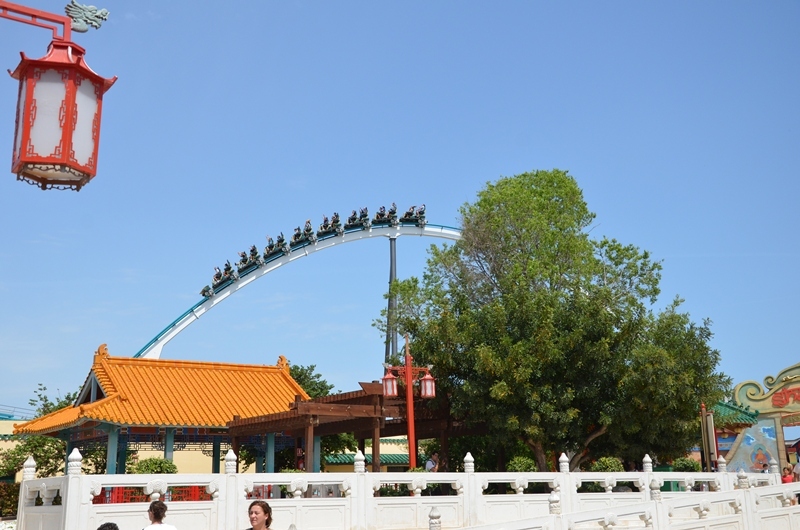 Dragon Khan, an excellent B&M with eight inversions. 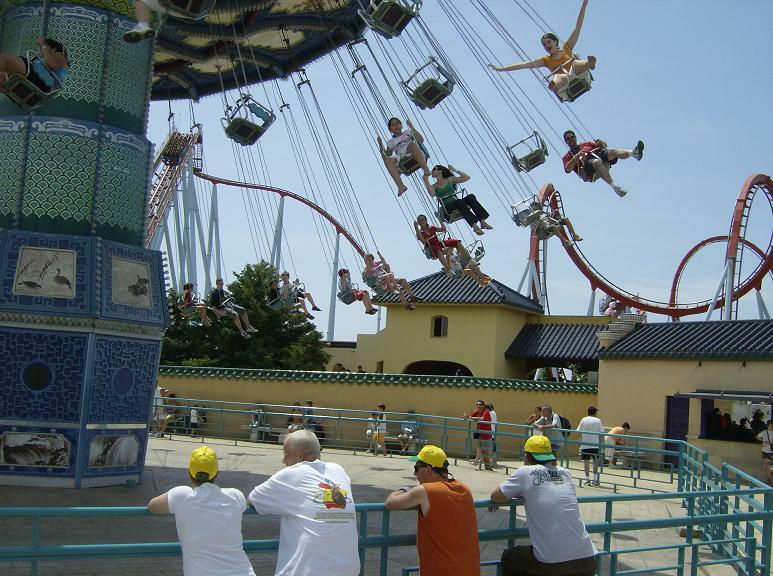 Furius Baco is a one-of-a-kind Intamin launched WingWalker where you travel over a vineyard. 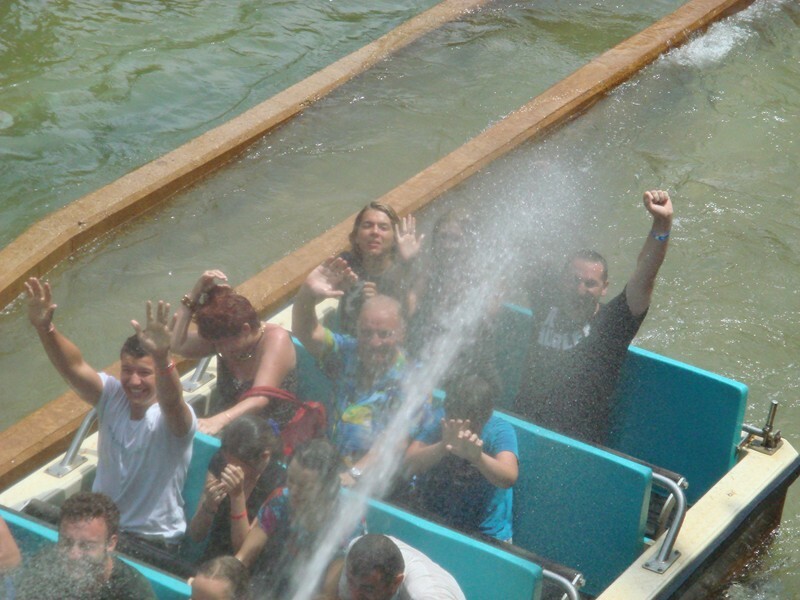 All of the water rides at the park are made by Intamin and offer plenty of wetness. 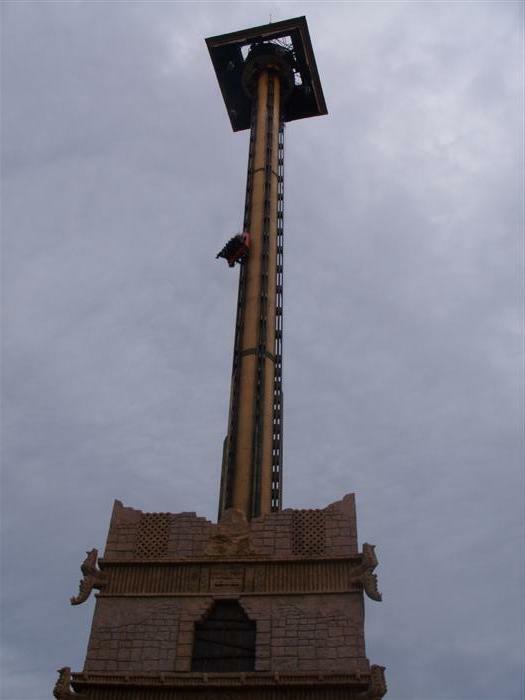 Hurakan Condor is a 300-foot Intamin Drop Tower in which riders can either stand or sit. The remaining flats nicely fit into the theme of the area and tend to be family oriented. Oktoberfest brings increased beer offerings to the park Halloween Events take place at the park from late September to mid-November. Christmas events start the last week of November and continue through the first week of January. 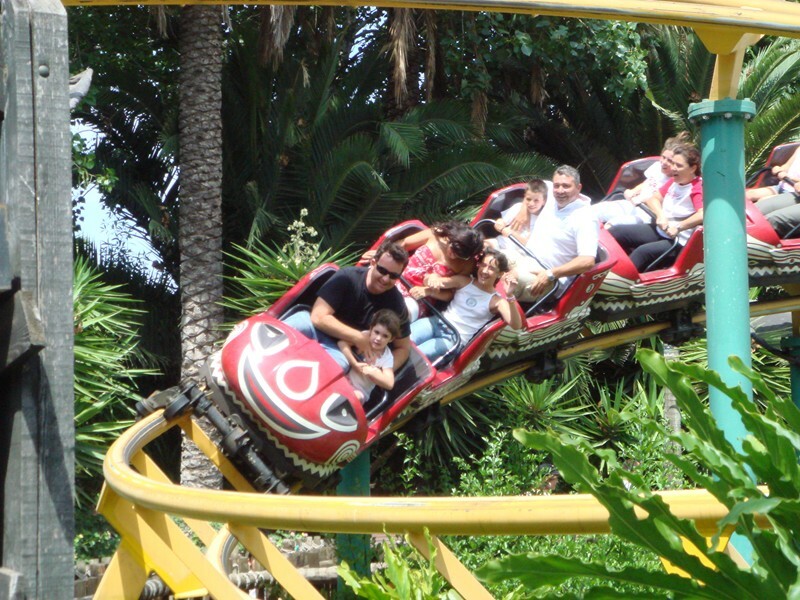 The park has its own motorway exit, exit 35 of the AP-7 or Autopista del Mediterráneo (E-15 European Route); therefore, it is very easy to go by car to PortAventura. 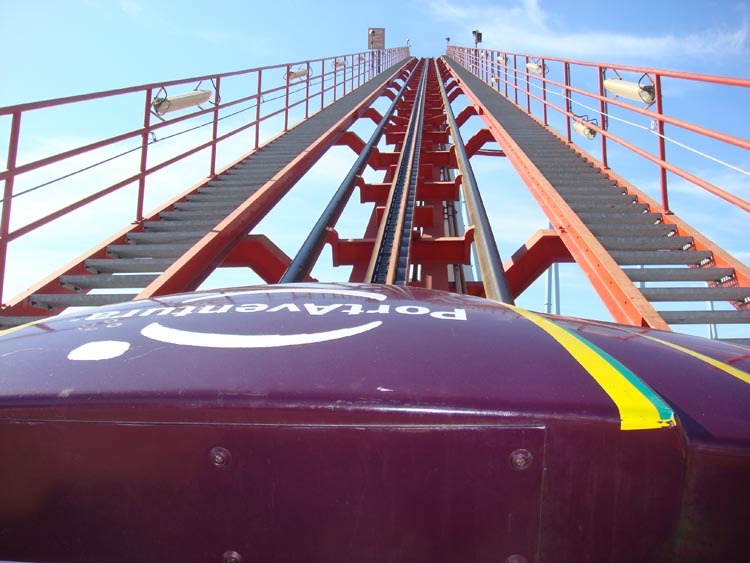 From La Jonquera or the south of Spain, you can take AP-7 up to PortAventura. If you come from Barcelona or el Vendrell through C-32, you will connect directly with AP-7. 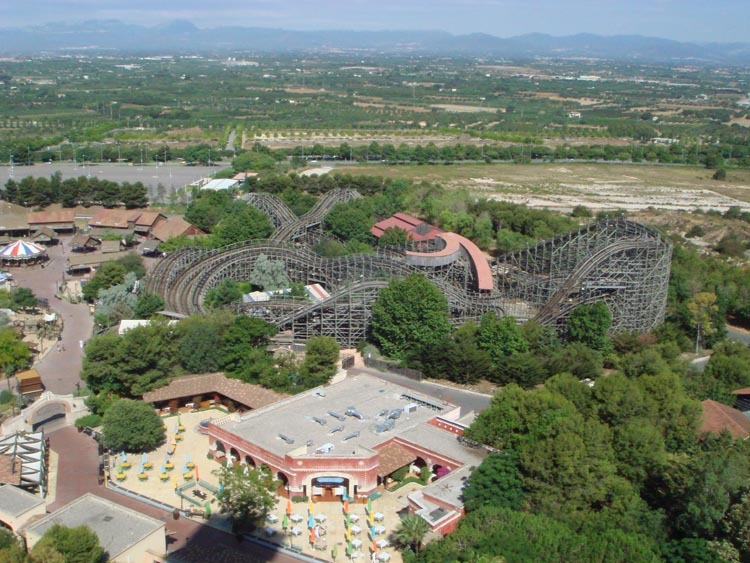 If you are driving to PortAventura from the Basque Country or Zaragoza, you can pick up the AP-7 from the AP-2. 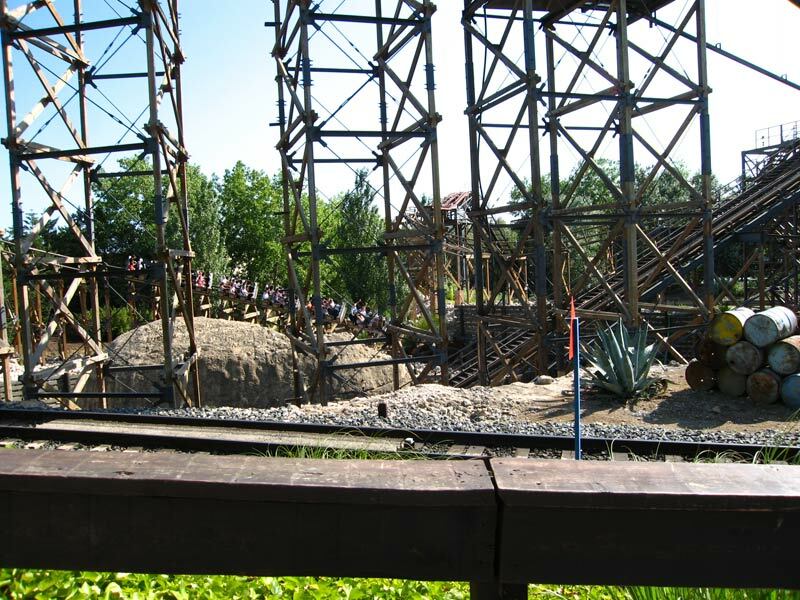 PortAventura can be reached via train. www.renfe.es or call 00 34 902 320 320.
www.renfe.es/ave or call the customer service telephone 00 34 902 320 320.
www.autocarsplana.com or call: 00 34 977 35 44 45. 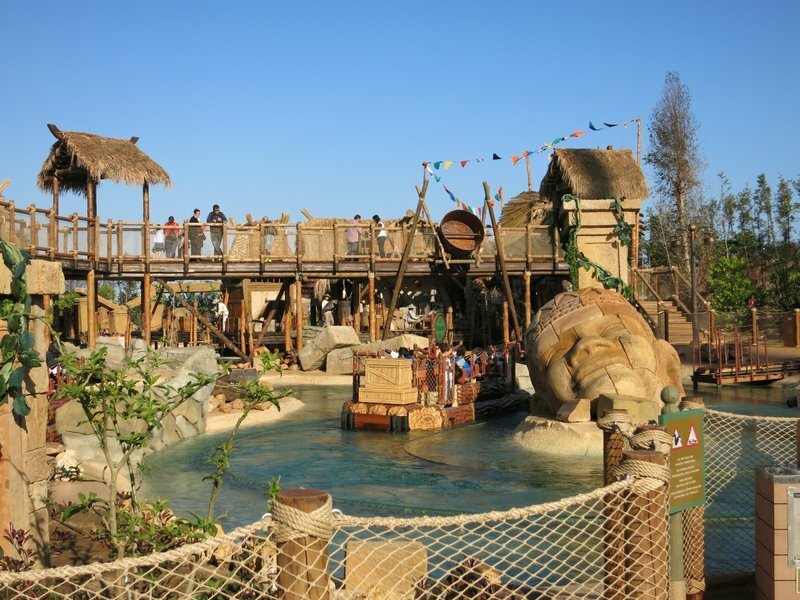 PortAventura has five hotels on-site: Hotel Gold River, Hotel PortAventura Villa Mediterranea, Hotel El Paso, and Hotel Caribe. The Hotel Gold River, based on a Far West theme, will take you back to the times of the Gold Fever and will make your stay unforgettable. 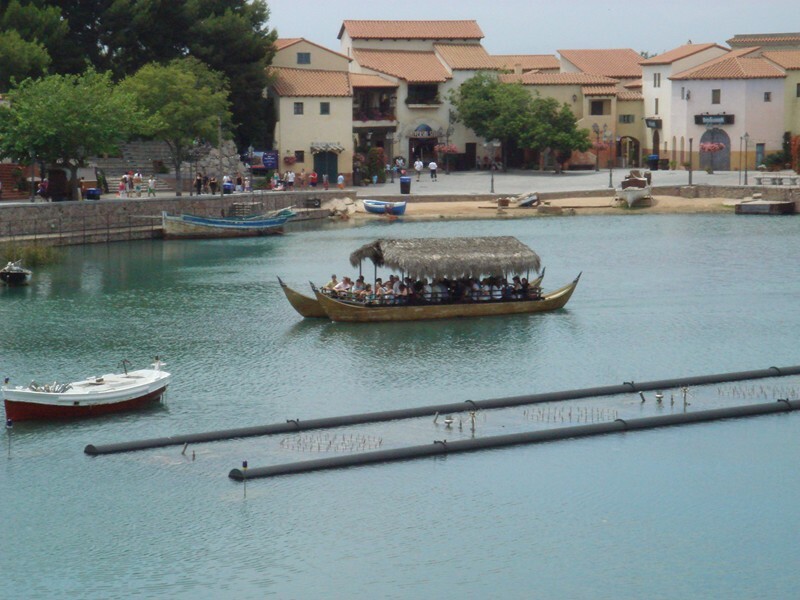 The Hotel PortAventura - Villa Mediterránea is a quaint village at the seaside, where you will spend a wonderful time with your family close to the Mediterranean. The Hotel Caribe is a sun-bathed esplanade with exotic gardens and beaches of white sand, where you can escape from the world and get away from everything. The Hotel El Paso will take you back to colonial Mexico and provide you with one of the most gorgeous views of the bay, where you can enjoy our all-inclusive package. 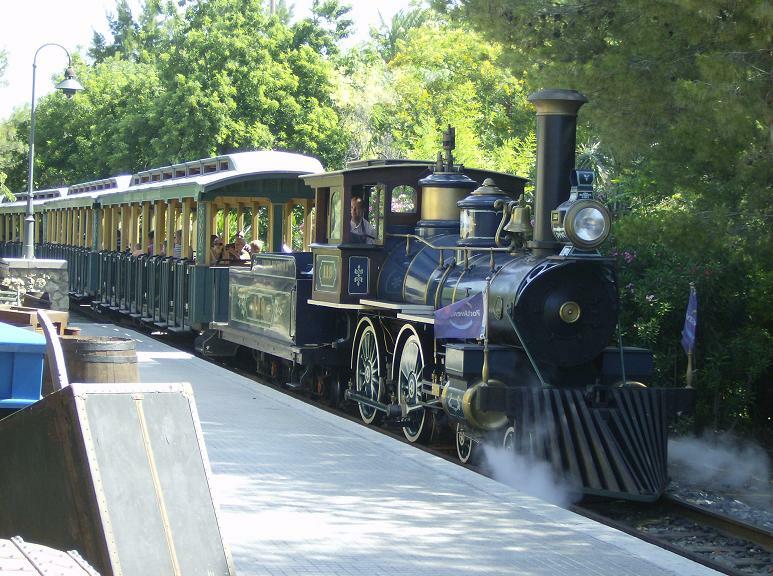 Guests at Hotel Gold River, Hotel PortAventura Villa Mediterranea, Hotel Mansion de Lucy and Hotel Caribe may purchase PortAventura Express: one-time-per-ride front-of-line access to most of the rides in PortAventura Park. Only available to guests at the hotels listed above. 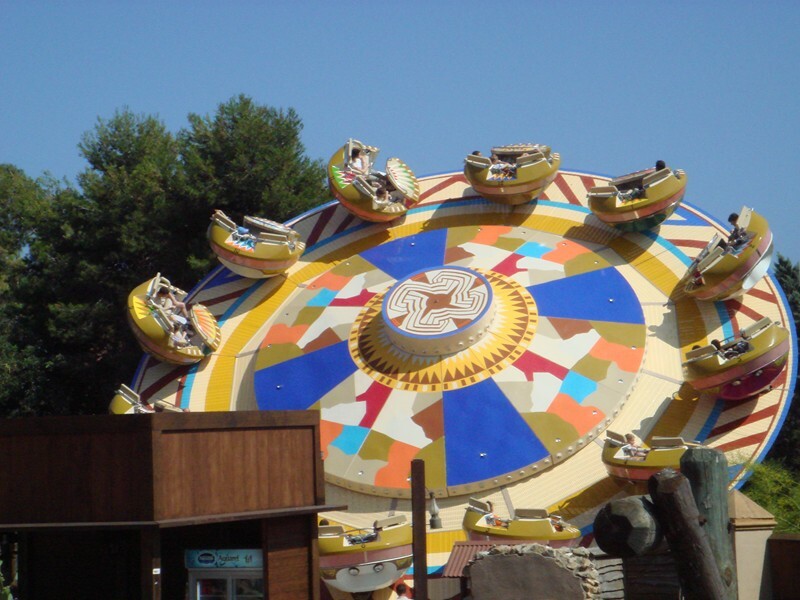 PortAventura has over a dozen shows. 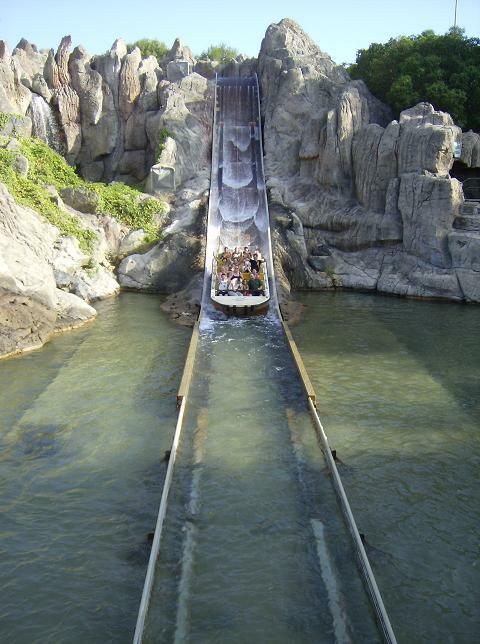 The most unusual and thrilling shows can be found in Polynesia and China. A nightly boat parade/fireworks show takes place by the lake at the front of the park. 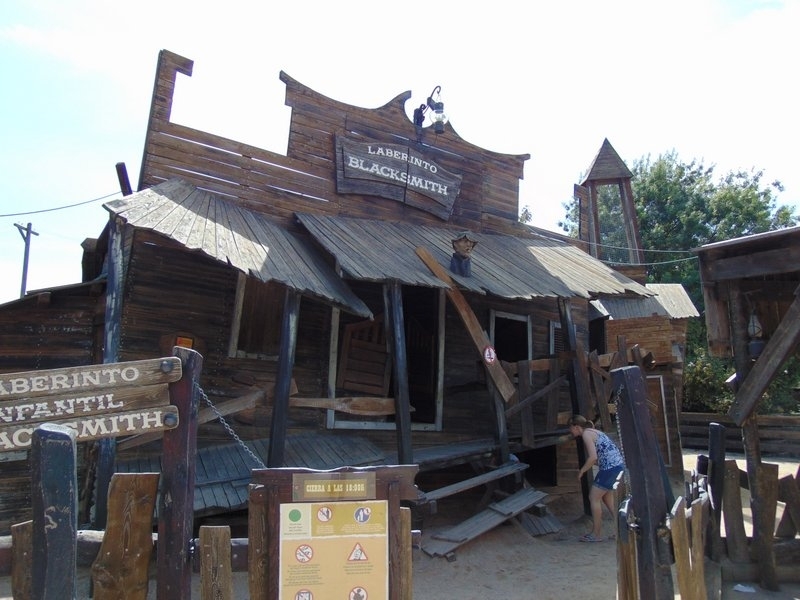 Templo del Fuego is a well-done archeology-themed show with FIRE, and Laberinto de Blacksmith is a Tilt House walkthrough in the Far West. Consult the park map for a list of show times. 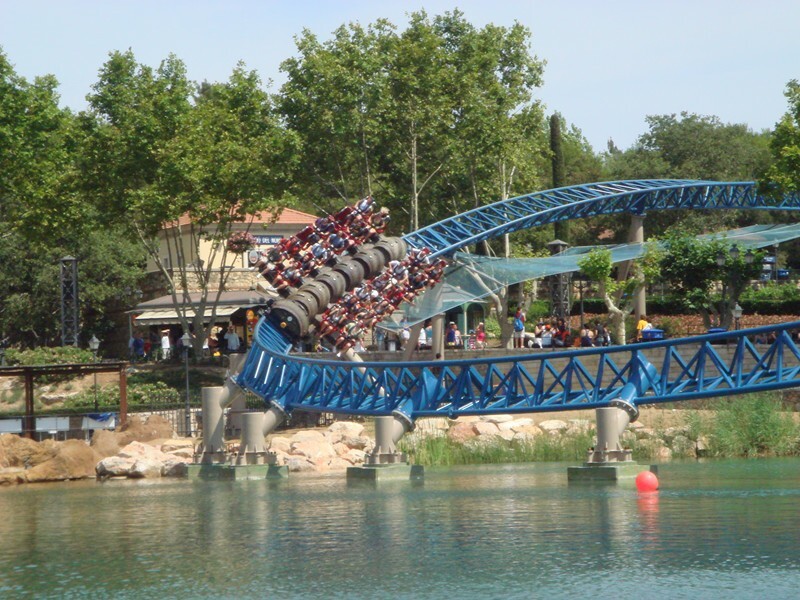 PortAventura is the premier theme park destination in Spain. 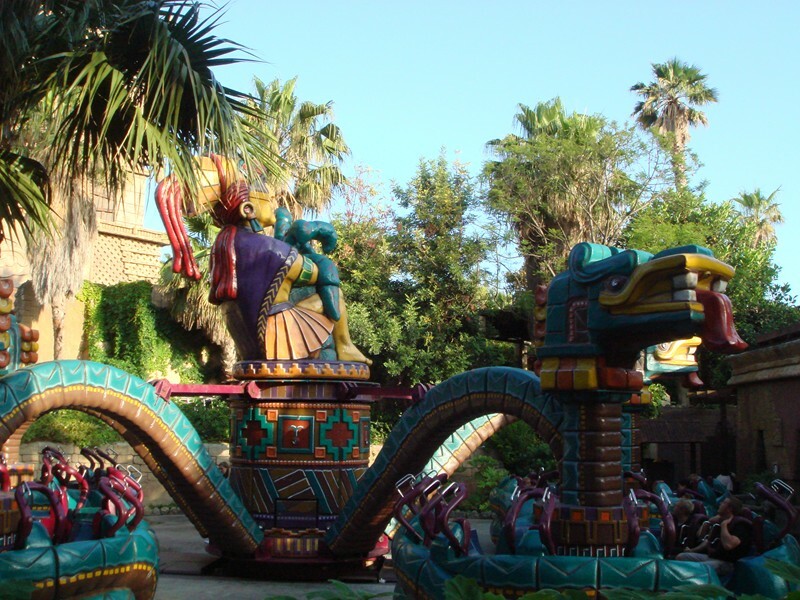 Theming and landscaping are top notch at this former Universal property with five distinct areas (Mediterranean, Polynesia, China, Mexico, and the American West). Refreshingly you can even find food native to each area. 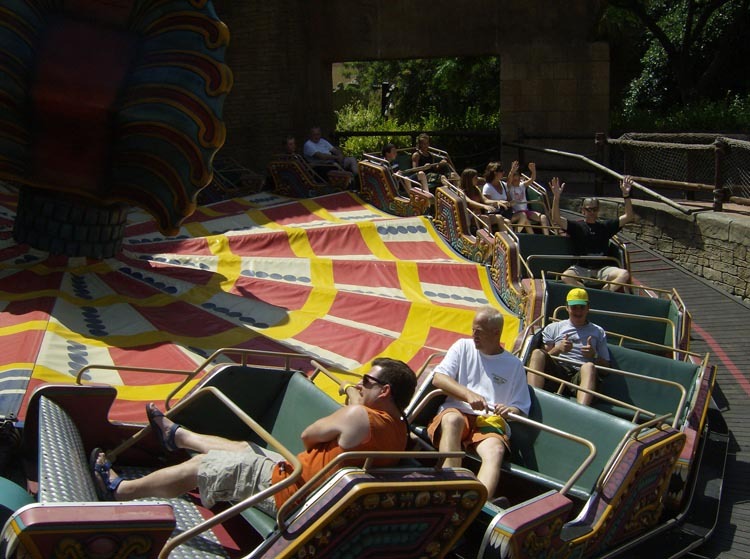 The coasters run the gamut from starter to intense, the excellent water rides are soaking wet refreshment, there are a variety of flats, and too many shows to count. Besides all that you have a spectacular fireworks show every night. 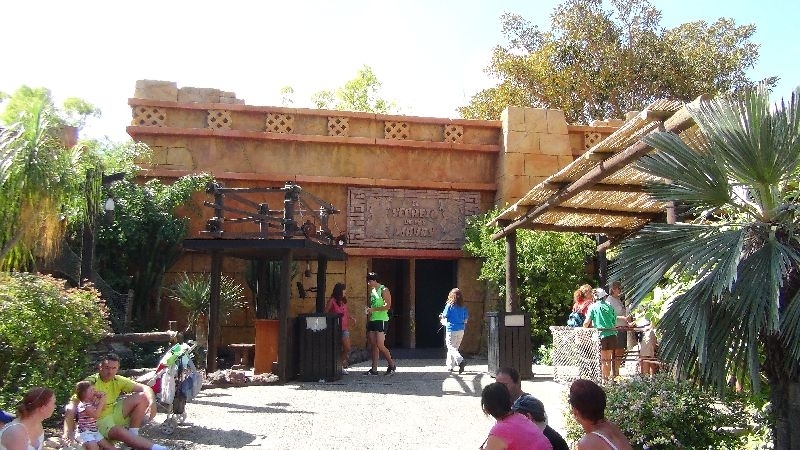 Some attractions are hidden by the dense landscaping so make sure to grab a map and do a little research ahead of time. I make Nozzy's words mine. Could not agree more. 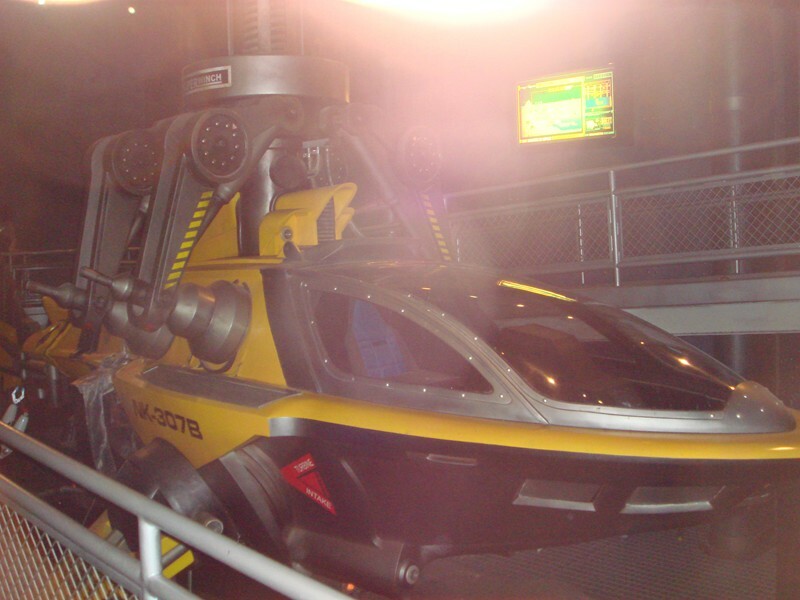 - the coasters, mainly Furius Baco and Dragon Khan are very intense rides. I do recommend riding Baco in the inner seats for a smooth ride. 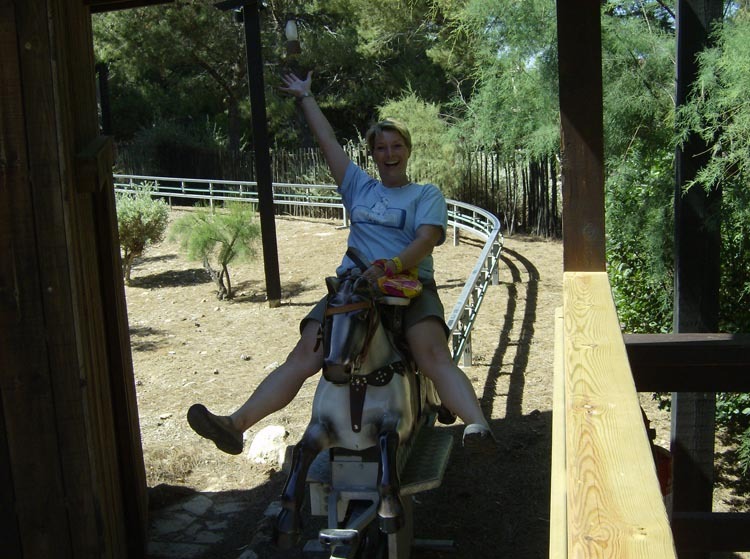 - the park is about 1h off of Barcelona, right after Tarragona city, in the way to Salou. I found easy reaching the park by train (RENFE), departing from Passeig de Gracia station. 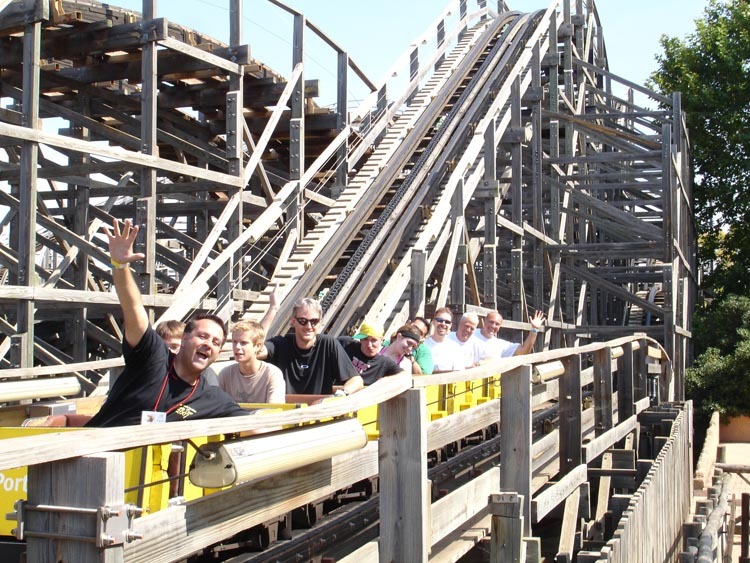 Check for promotions on the park web-site. It's common to have Train_tickets (round trip) + the park passport as a combo. 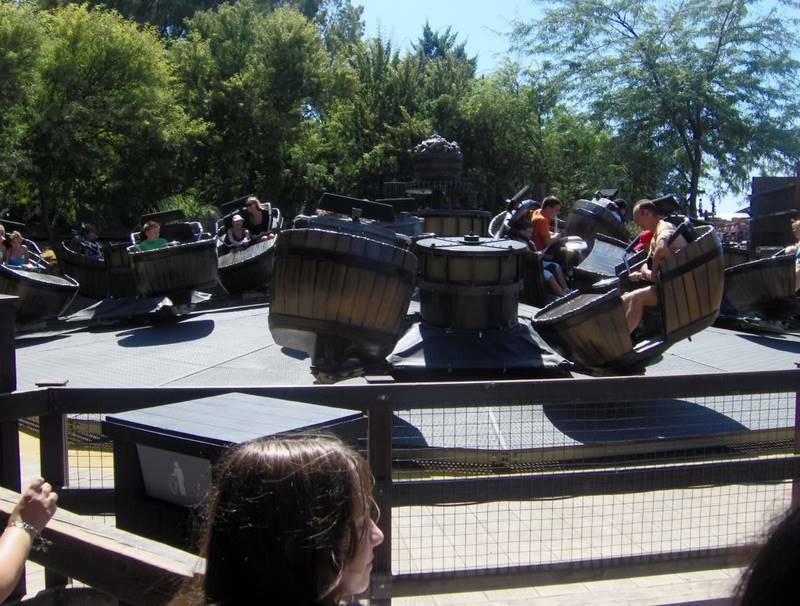 This park definitely feels like the precursor to Islands of Adventure- fantastic, immersive theming for thrill rides! 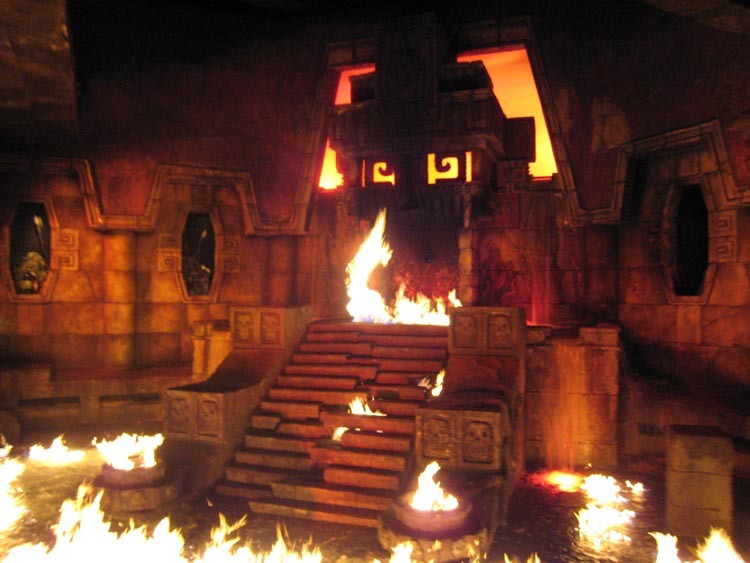 Dragon Khan and Furius Baco both deliver fantastic rides (though Baco may shake you up a bit, the launch into a trench in a front row end seat is unlike any other coaster), and while flats may not be as impressive everything is very well themed. Condor is an amazing drop tower as well. 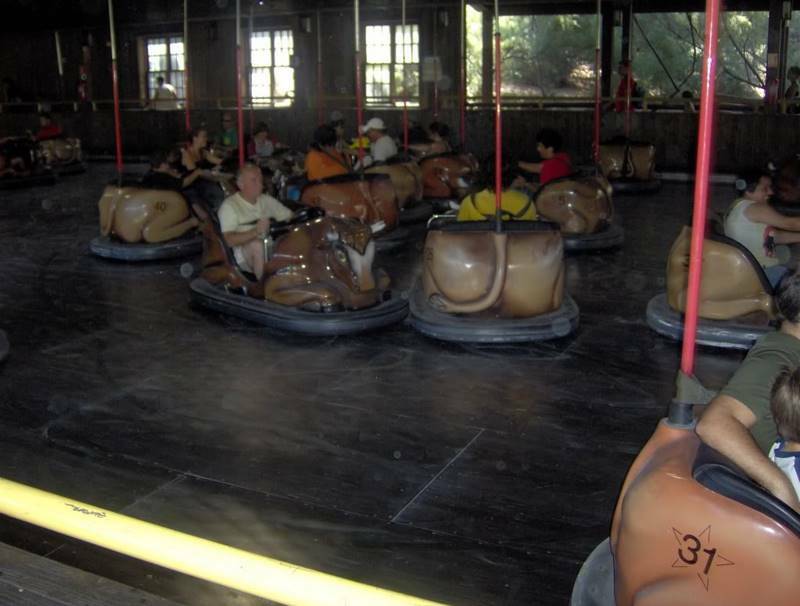 Operations are so-so, and the park clientele don't do lines well. Food is ridiculously expensive. Shows were pretty good. Park atmosphere is outstanding, with each section having nice areas to relax and lots of scenery. Onsite hotels are also beautiful, and well worth staying in (the included breakfast is delicious!). 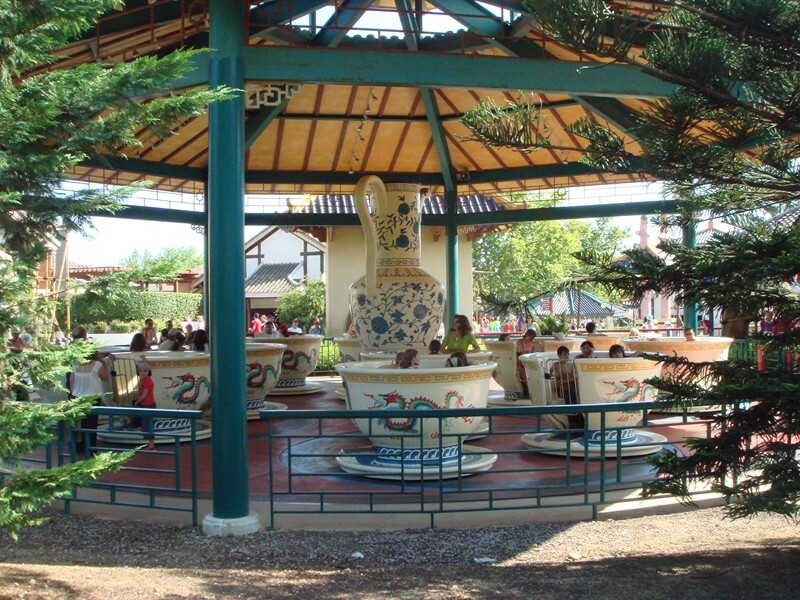 Beautifully themed park with a ton of shows, rides, attractions, and more. Little kids play areas near almost all major attractions. Line cutting is a sport in Spain. Operations leave a lot to be desired.